According to the study, those who were bullied on the job were 59 percent more likely to be diagnosed with heart disease or hospitalized for heart attacks. People who are bullied or exposed to violence on the job may be more likely to develop cardiovascular disease than individuals who don't deal with these challenges at work, a European study suggests. Researchers examined survey data from more than 79,000 working men and women between 19 and 65 years old who didn't have a history of heart disease. Overall, about 9 percent of them reported being bullied and 13 percent said they had been exposed to violence on the job in the last year. After an average follow-up period of more than 12 years, 3,229 people, or about 4 percent of the workers in the study, were diagnosed with heart disease or hospitalized for related events like a heart attack or stroke. Workers who were bullied on the job were 59 percent more likely to be diagnosed with heart disease or hospitalized for heart attacks or strokes than those who were not bullied, the study found. And workers who were exposed to violence had 25 percent higher likelihood of developing heart disease or being hospitalized for related events. 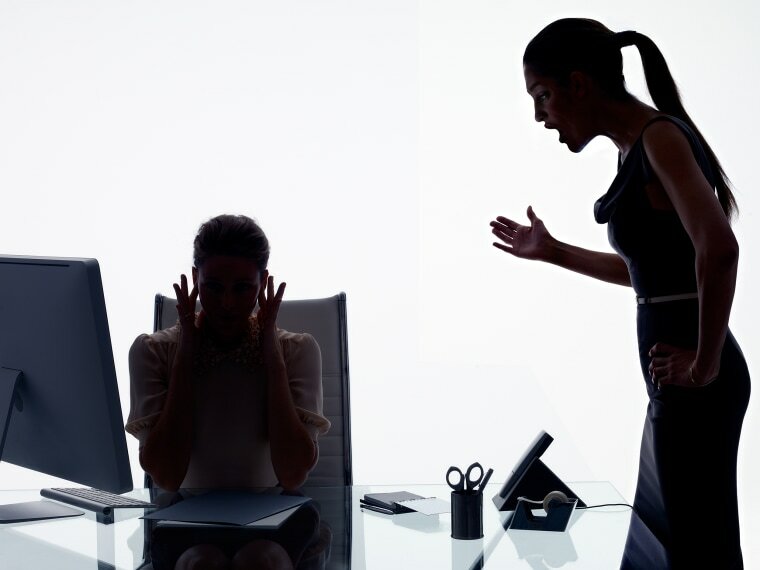 "If we can eliminate workplace bullying and workplace violence, the impact on cardiovascular disease prevention would be similar to if we prevent diabetes and risky alcohol drinking," said lead study author Tianwei Xu of the University of Copenhagen in Denmark. Difficult work conditions, including job strain and excessive hours, have long been linked to an increased risk of cardiovascular disease, but research to date hasn't offered a clear picture of what role might be played by exposure to bullying and violence, the researchers write in the European Heart Journal. Still, stressors like bullying and violence might contribute to mood disorders like anxiety or depression or fuel unhealthy behaviors like smoking or eating and drinking too much, the study authors note. Severe stress may also contribute to high blood pressure, which in turn increases the risk of heart disease. Bullying, or psychologically aggressive behavior, affected from 8 percent to 13 percent of workers across three different surveys examined in the study. Most bullies were colleagues, supervisors or subordinates, rather than clients or other individuals outside the workplace. About 7 percent to 17 percent of workers were exposed to violence, which included both threatened and actual physical harms. Most perpetrators of physical violence were clients or people served by workers, not supervisors or colleagues. Certain professions appeared to have an outsize risk of physical violence: more than 47 percent of social workers experienced this, as did more than 29 percent of personal and protective service workers, more than 25 percent of healthcare workers and more than 16 percent of teachers. For the analysis, researchers looked at workers in Denmark and Sweden who were participants in three studies that began between 1995 and 2011. Researchers examined national health registry data for evidence of heart disease. The new analysis wasn't designed to prove whether or how exposure to bullying or violence at work might directly cause heart disease or related events like heart attacks or strokes. Another limitation is that researchers only assessed exposure to bullying and violence once, when people joined the study, and were unable to see how changes in exposure over time might impact heart health. Researchers also lacked complete data on tobacco use and some other factors that can affect heart disease risk, like marital stress and personality. Pre-existing psychological conditions, childhood experiences and coping skills may all influence whether or how much workplace exposure to bullying or violence might contribute to the risk for heart disease, said the author of an accompanying editorial, Christoph Herrmann-Lingen of the University of Gottingen Medical Center in Germany. But that doesn't mean workers should ignore these problems, Herrmann-Lingen said by email. "Workers who feel bullied or those who experience threat of violence or actual violence should take these events seriously and seek support for solving the underlying conflicts and obtaining support in dealing with the resulting emotional distress," he advised.